(CNS): A 32 year old man from West Bay pleaded not guilty to three charges relating to forgery and deception on Friday in connection with a supermarket competition. Mark McLean has denied altering a winning Foster’s Supermarket punch and play card froma $5 prize to a $5000 prize and then dishonestly obtaining his winnings from the Strand store last year. McLean appeared before Justice Charles Quin in the Grand Court and pleaded not guilty to all three counts relating to the incident which took place in September 2011 when the crown claimss he cheated the supermarket’s promotional game. McLean was released by the court on bail to return for his three day trial on 29 October. 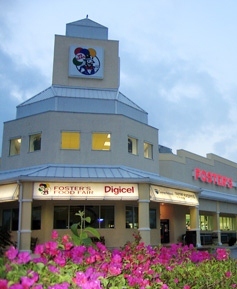 The Foster’s punch and play promotional game requires customers to match three images on a card by scratching open the windows once the card has been fully punched as a result of the amount spent in the supermarket. When a triple match is made the winner then gets the sum of money that is allocated to that particular card. In this case the crown claim that the winning card that McLean presented to the supermarket was a $5 card which the defendant altered to read $5000.